종묘와 함께 토지의 신과 곡식의 신에게 제사를 지내던 곳이다. 조선을 세운 태조가 한양에 수도를 정하고, 궁궐과 종묘를 지을 때 함께 만들었다. 토지의 신에게 제사 지내는 국사단은 동쪽에, 곡식의 신에게 제사 지내는 국직단은 서쪽에 배치하였으며, 신좌는 각각 북쪽에 모셨다. 제사는 2월과 8월 그리고 동지와 섣달 그믐에 지냈다. 나라에 큰 일이 있을 때나 가뭄에 비를 기원하는 기우제 그리고 풍년을 비는 기곡제들을 이 곳에서 지냈다. 1902년 사직단과 사직단의 임무를 맡는 사직서가 다른 곳으로 옮겨지고, 일본인들은 우리나라의 사직을 끊고 우리 민족을 업신여기기 위하여 사직단의 격을 낮추고 공원으로 삼았다. 1940년 정식으로 공원이 된 사직공원이 옛 사직단의 자리이다. 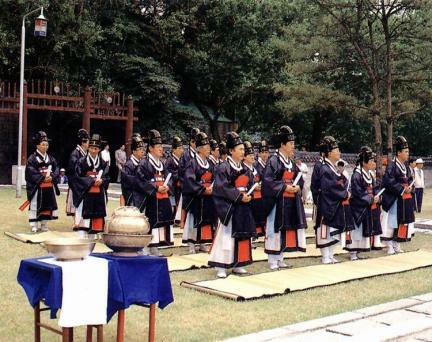 Along with Jongmyo Shrine, Sajikdan was a place where services for the gods of Earth and Crops were performed. 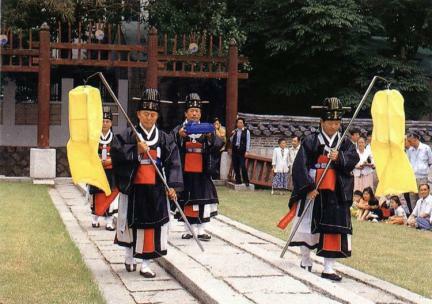 It was erected when the founder of Joseon made Hanyang the capital and built the palaces. Guksadan was the place where services for the Earth were performed, which was located on the east, and Gukjikdan, the place where services for the Crop gods were performed, on the west. The altar was placed on the north. Services were performed here in the winter solstice and New Year’s Eve, February, and August. Rituals and prayers for rain to have great harvest and for success in great national affairs were also held here. 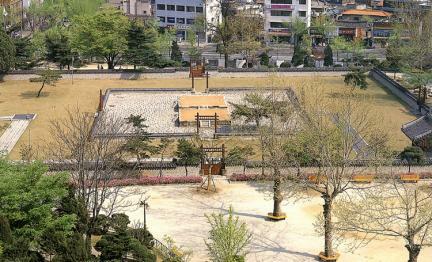 In 1902, Japan moved Sajikdan and Office of the National Altar elsewhere and made a park around the altar to degrade the Korean altar tradition. Sajik Park, which became a park in 1940, was the original site of Sajikdan.